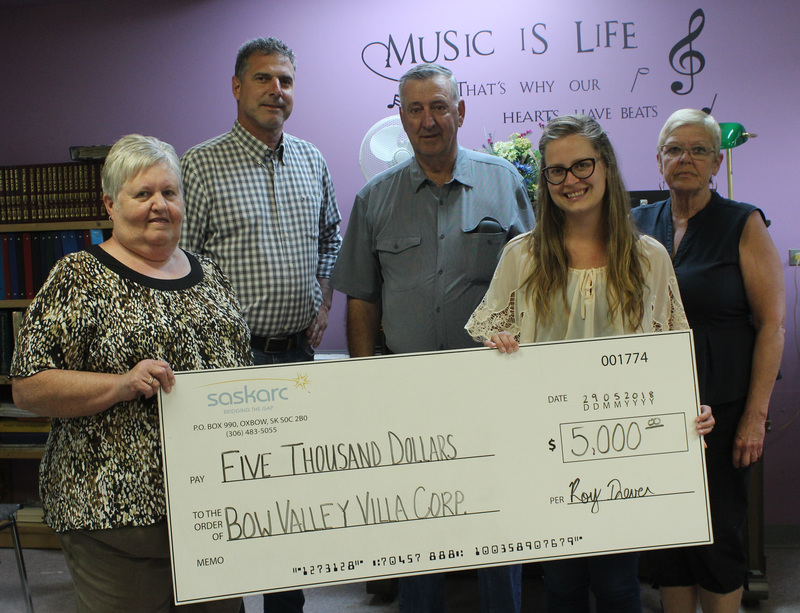 On May 30, Saskarc donated $5,000 to Bow Valley Villa Senior’s Assisted Living in Oxbow. Bow Valley Villa provides housing for senior citizens who require assisted living. In addition to providing housing, Bow Valley Villa also provides activities and entertainment for its residents. “We need Saskarc, because they help the community out a lot,” said Ron Rossow, Chairman of the Bow Valley Villa Board. Saskarc is proud to support community organizations like Bow Valley Villa that help improve the life of community members.